A full disclosure of my road trip through Scotland, with a focus on natural highlights and tradition. You guys, I’m super excited (and there I promised never ever to start a blog post with these words!). I’m leaving for an epic Scotland road trip in a few days. It’s about time I share my itinerary for exploring the highlands and islands of this amazing country (is this even politically correct?). Edit: I wrote this article before I left for Scotland. 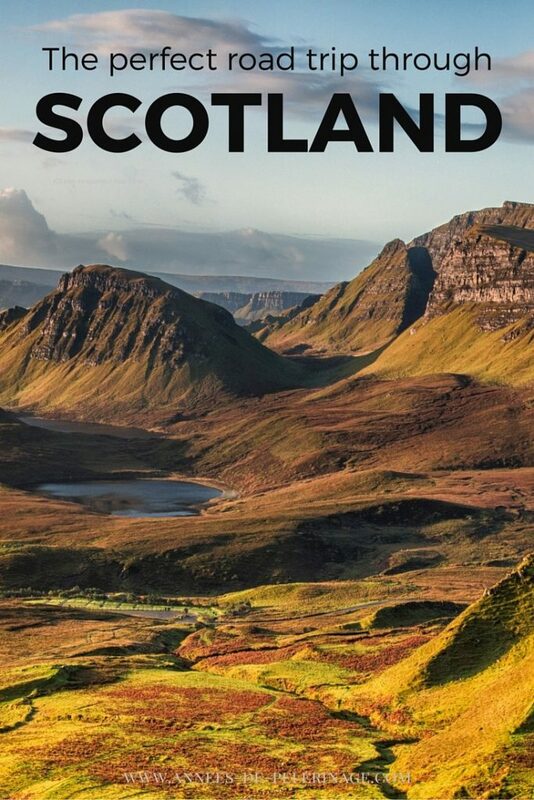 Find my personal 20 most amazing experiences in Scotland here. We’ll be starting in Glasgow (writing “we” already feels weird, lol), since this is the easiest accessible airport for us. We’ll be flying with Lufthansa. 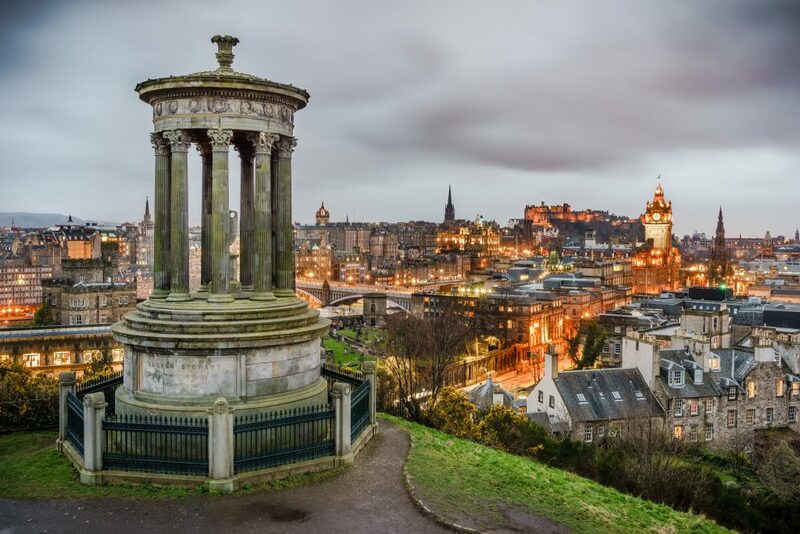 Since Edinburgh is only a couple of miles away, and this itinerary will end in Scotland’s capital, it somehow doesn’t matter where you start. In Glasgow, we will be staying at the Park Inn by Radisson. The hotel looks clean, modern and is located right in the center. As we will probably only sleeping there a couple of hours, this budget option certainly was a smart move. We will only stay in Glasgow one day. 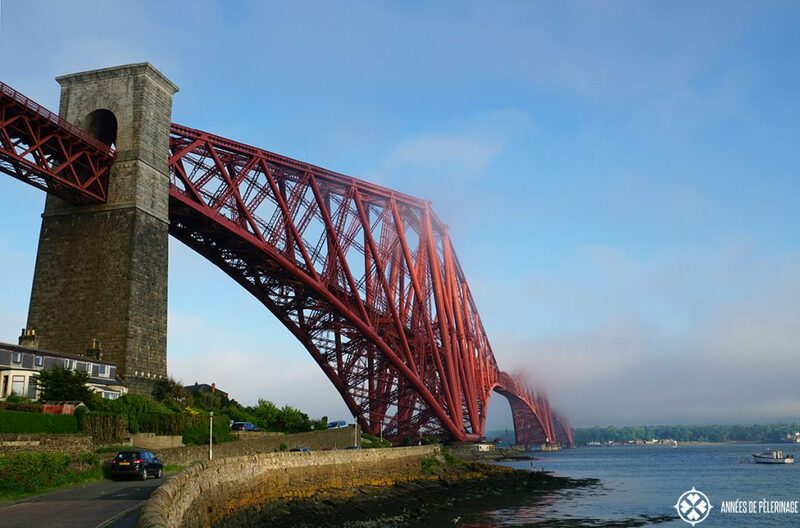 The focus of this Scotland itinerary lies in the landscape and outdoor activities, so we wanted to cut the city activities to a minimum. From Glasgow, we’ll be taking our jeep to Oban. We’ll be passing Loch Lomond national park on the way and plan to walk around there a bit. If the time allows, we’ll also go to visit a Whiskey Distillery on the way. 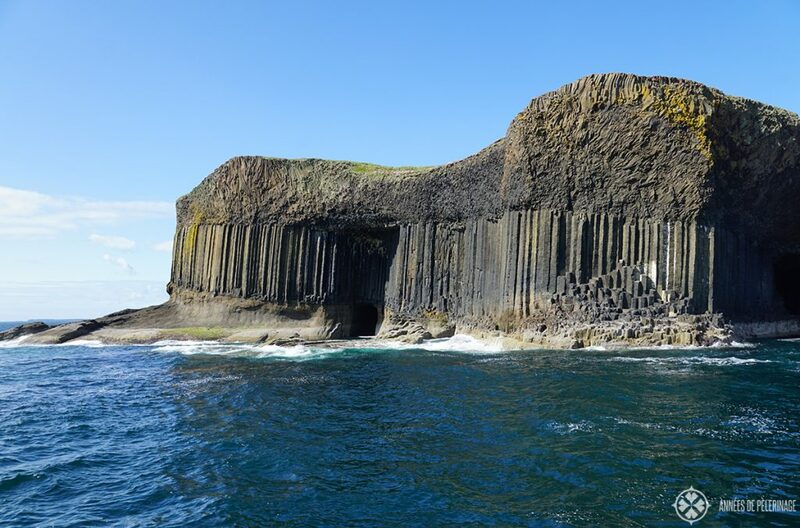 Our main reason to drop by in Oban is visiting the otherworldly lava island of Staffa. 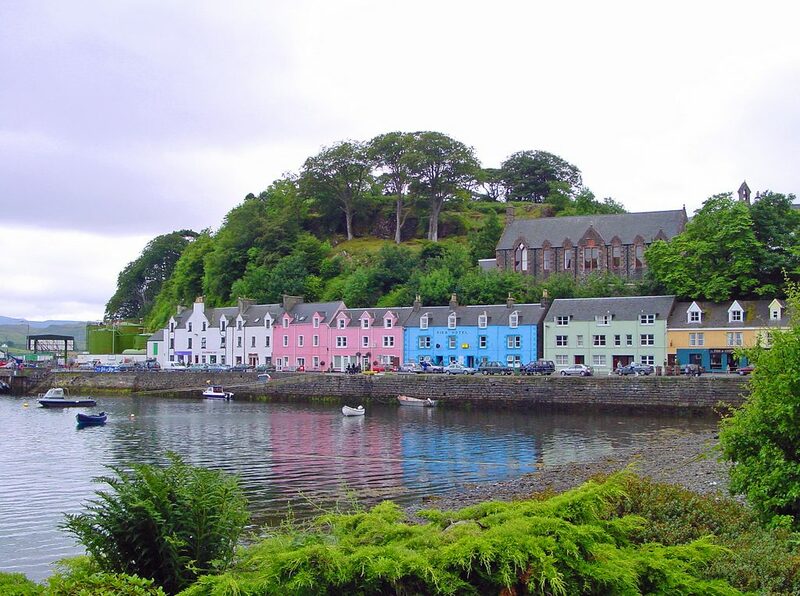 We will be also dropping by on Tobermory and the Treshnish Islands for some bird watching. And who knows? Maybe we will see a whale or two on the boat trip as well! Update: In the meantime, I returned from Scotland. 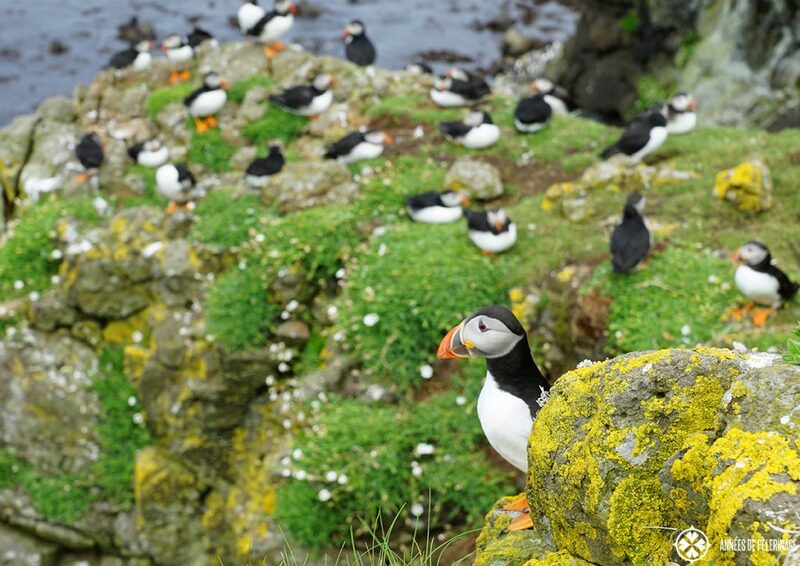 Wrote an article about visiting the amazing Puffin Colony on Lunga. In Oban, we will be staying at the Glenright Guest House. It is located directly at the harbor, which will be come in very handy because we are there to do a boat trip. It looks very, very cozy as well. Staying there two nights. If time allows, we can also do another boat trip. Eigg, Rum, the outer Hebrides – there seem to be endless options from Skye (making me wish we had 2 weeks instead of 5 days). Update: The Isle of Skye totally blew my mind away. 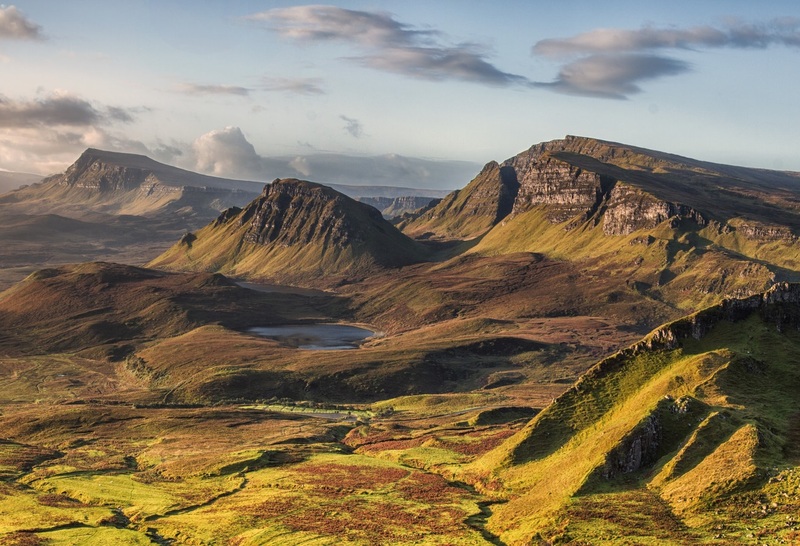 Had to compile a list of the 10 most wonderful things to do on the Isle of Skye for you. Check it out for more amazing pictures! From Portree, we will move on to Aberdeen. This will be quite the long day on the road, but again action packed. 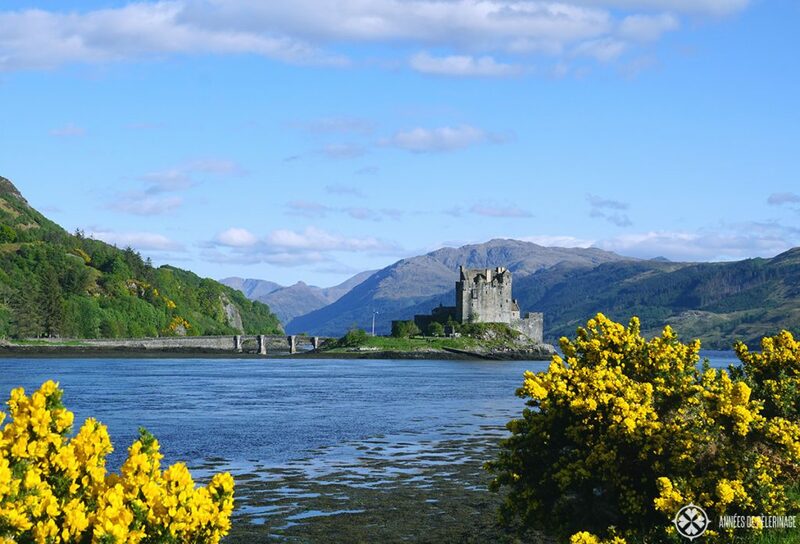 Our first stop will be Loch Ness and Urguhart castle. On the day we are passing through, there will be some highland games in the area, so we will definitely check these out. I have always been a big fan of traditional sports. We expect to arrive very late in Aberdeen, but we hope we will arrive in time to check out a pub or two. Other than that we really got nothing planned for Aberdeen because time will probably not allow it. We will be staying the night at the Skene House HotelSuites – Whitehall. From outside the hotel looks very enchanting. Again, other than sleeping and breakfast we will probably not see anything from the hotel. This will be quite the eventful and packed day, so we expect to arrive late in Edinburgh. Let’s see if we can already explore the nightlife. 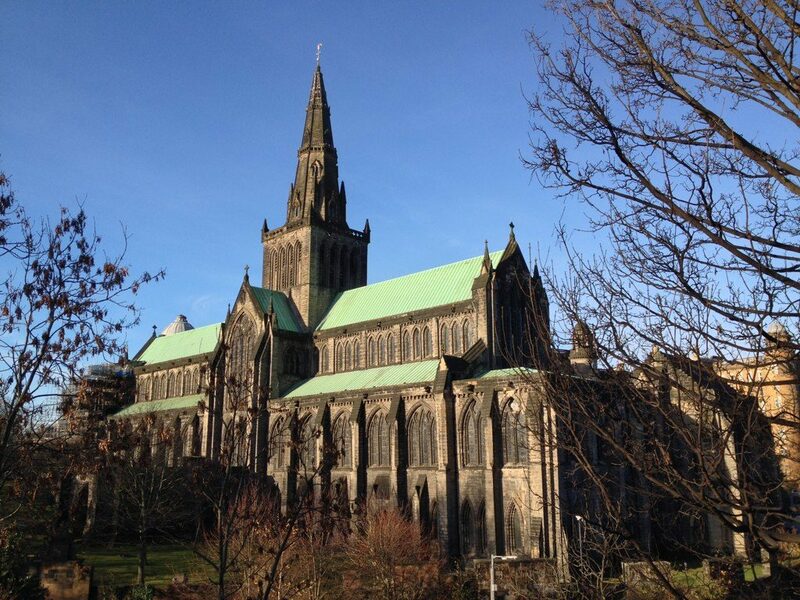 Shopping, nightlife, seeing further sites – we don’t have a tight plan for Edinburgh and I feel it is not needed either. We’ll just decide according to our stamina and time. We will be staying at the Edinburgh City hotel. It will be the first time in probably 10 years I’ll be staying at a 3 star hotel. So wish me luck (haha). It looks clean, has a great location. And has a good rating. Now you might ask why we didn’t option for the luxury option. Scotland has some beautiful castle hotels. So why not stay there? Well, there are a couple of considerations that led to my (or rather our) decision. First of all, not everyone in my group is willing to spend a fortune on a comfortable bed and some complementary sparkling wine upon arrival. But there is more: Most of these beautiful castles aren’t exactly on our route. So staying there would have meant daily detours of an hour or so. For us, especially on such a tight schedule, it really didn’t seem worth it. In addition, we plan to see as much of the beautiful landscape and nature as possible. We will be getting up very early and coming back in very late – so we really won’t have all that much time to experience all the advantages of a luxury hotel. Instead, we rented the biggest and most comfortable jeep available to explore Scotland. We figured this is where we will be spending the most time in and this is where luxury is needed. And there is the issue of our limited time. Anyone who ever went on vacation with friends (those of the corporate job kind) can attest that finding a time to go is very hard. As much as we would have liked to stay longer, finding a longer time slot was simply not possible. This is why we had to limit ourselves to seeing only a couple of places, fully knowing that Scotland has so much more to offer. We knew we wanted to do a road trip, but we also decided that changing quarters ever day will be too much of a hassle. I often see, hear or read of people doing that. If you got a caravan this might be a good thing to do, but as long as you are staying in hotels, for me, it is a big NO. I really don’t want to spend my precious vacation time searching hotels, checking in, checking out, unpacking and packing. 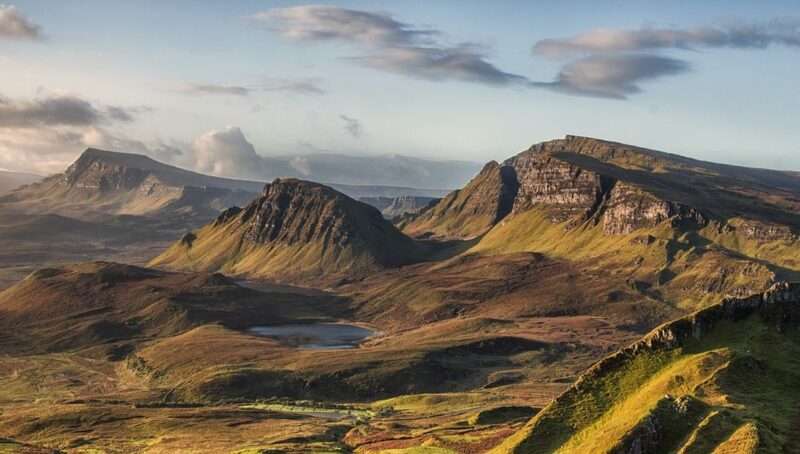 That being said, the Isle of Skye really cast its charm on us, and we choose that as our “home base”. The highlands or even the Outer Hebrides could have been an option as well. But I am fairly sure we will have a great time either way. And keep in mind: no one ever said we can’t return to see more, eh? 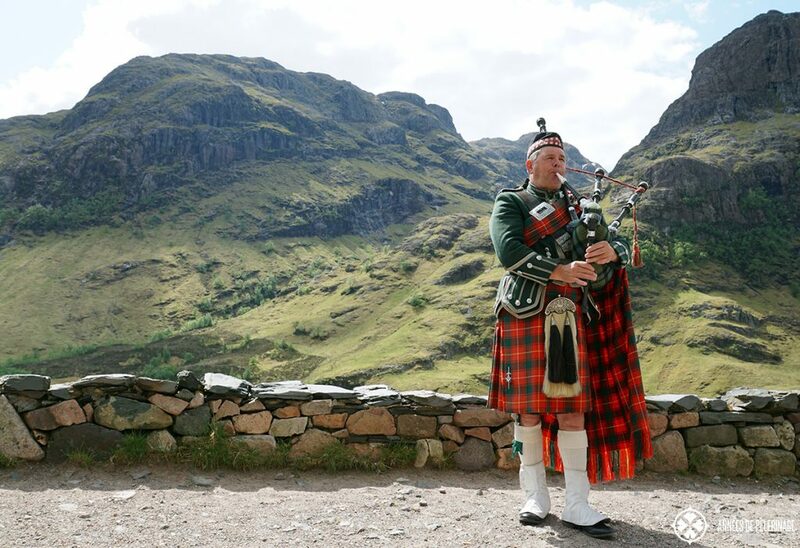 Oh..and before you go: Got any suggestions for our Scotland road trip? Bars, pubs, restaurants or whiskey distilleries? Share them with me in the comments below. I’d be more than grateful! When you travel from Portree to Aberdeen (about 7 hours drive), I’d suggest dragging it out a little and driving over the Cairngorms, pass the lecht. I’d avoid the a96 road. I am so sad that during our trip this coming June we will miss the Highland Games! I will also be traveling with a group of friends (3 couples) and we are planning a road trip as well. However, we are having a difficult time finding a car to accomodate us all. Thinking of just getting 3 separate cars… I’m really enjoying all your Scotland posts! 3 cars sounds like a waste of money, but also like skipping on all the fun. They have big Volvo Jeeps and Landrovers – they should be able to accommodate you and your bags. Worked out perfectly well for us. As for the highland games – well, I am no expert on these. But June actually sounds like there could be some? I can’t remember the link, but there is a website with all the dates. Have you checked it? Yes :( there is an event the weekend before and an event the weekend after we will be there. Also, it seems that for 4 days, renting a large vehicle is quite expensive. Do you remember about how much you paid? From what I’ve seen, you can rent 3 small cars for half the price of one large car. if I remember correctly we had the biggest Volvo Jeep (or was it Landrover..not sure if I am mixing things up with Ireland)..anyhow..we paid like roughly 1200€ for a bit more than a week. BUT, that was a reduced rate. Planning a trip to Scotland, and your blog has been incredibly helpful! It’s been hard for me to find great suggestions around Europe with a focus on landscapes, hiking, and wildlife. So thank you so much for helping me on this part of my journey. I’m really excited to read your blog. 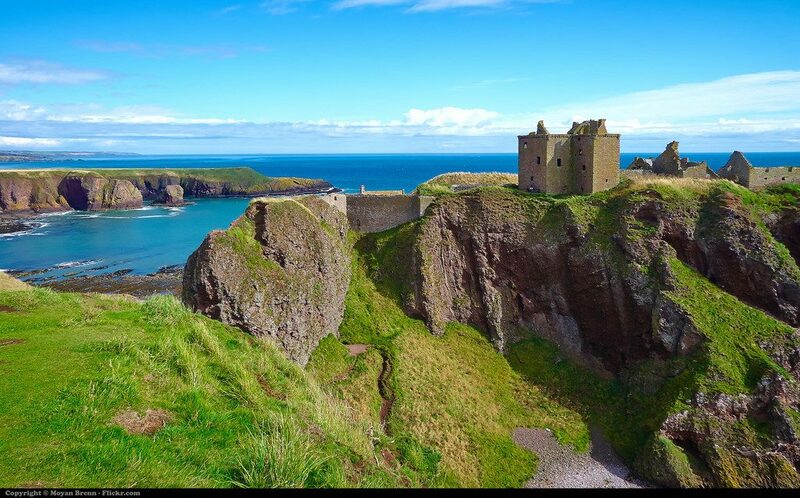 My niece and I (25 & 69) are going to Scotland in July/August for 12 days staying in airb&bs or guest houses. We’re starting in Glasgow for two days then to Skye, Highland, Inverness and Edinburgh. Your suggestions confirmed what I was planning. We’ll be renting a car only on Skye/Highland otherwise it will be trains and buses. Thanks. Glad to be of help. I’m sure you’ll enjoy your trip around Scotland. Summer is a great time!